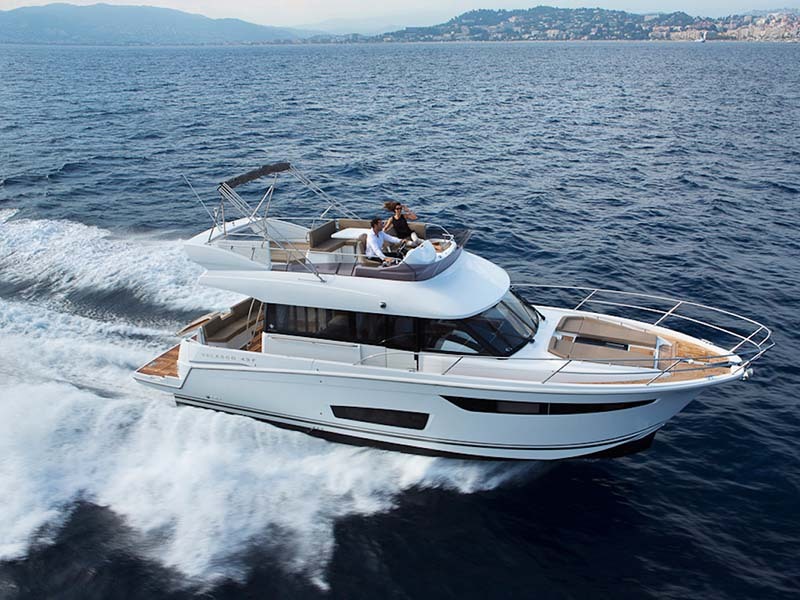 With the integrated radar arch replacing the mast on the flybridge, the charm of the VELASCO 43F lies in her softer lines and forward-sloped windscreen, a defining look for the VELASCO 43F. Excellent visibility, wide side decks, great bow lounge, and winner “European Powerboat of the Year”. With her shaft drive and double thrusters, the VELASCO 43F seems to glide over the water with unparalleled ease.